SAULINA Mahlangu from Devland, south of Joburg, said her sister had financial problems. The sister wanted to send her son to college but couldn’t afford it and applied for a loan. Saulina signed as surety for the loan but her sister only paid for the first few months and then stopped. Because Saulina had signed, the bank started taking the repayments from her account. She asked her sister to repay the loan but nothing has happened. The son completed his qualification and now is employed but still they refuse to pay. Saulina came to the SunDefender, asking for help. 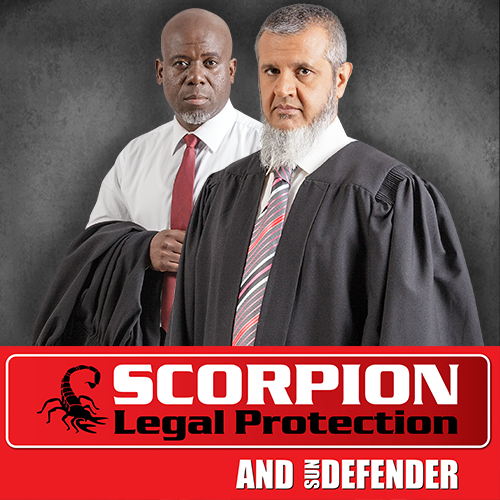 I spoke to the people at SCORPION LEGAL PROTECTION to give us professional advice. When someone signs surety, they agree that they will keep making payments on another’s behalf. Should the debtor fail to honour the payments, the creditor can demand payment, from Saulina in this case. She can sue her sister for the money she has paid on her behalf. Signing surety for someone else is a serious step, which you should only do if you are prepared to take over their debt payments. You can strike back legally too! to fill in your details for Scorpion to call you back.